Day 54: Meet Fred. He’ll be raising the roof. Chippies seem to travel light these days. Fred has arrived with only his sandwiches, a hammer and a saw. Hell, I have a hammer and a saw, but they didn’t invite me to raise the roof! Maybe it’s the sandwiches. Anyway, next time you see him, he will be setting the pitch of the new roof over the children’s room. 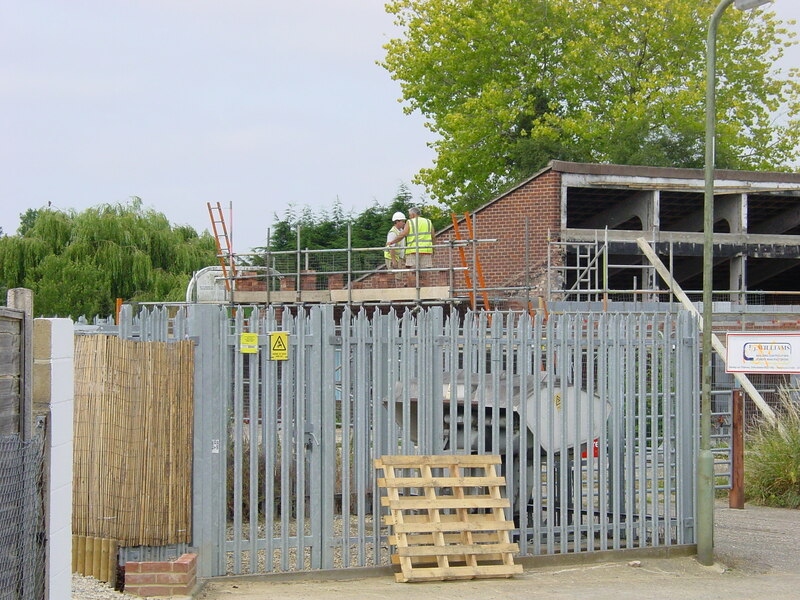 Gordon and Nick, meanwhile, have been raising the scaffold ready for Dave to lay the bricks up to the new roof line. I now understand why those bricks have been lying loose on top of the wall. Because (duh!) it would have been impossible to raise the scaffold boards with them on it. If one engaged brain before opening mouth one wouldn’t ask silly questions. But then if I was always scared of asking questions, I wouldn’t learn how to construct a building. ← Day 53: There will be daylight! We may need your help when we do the work on Willow! You may regret that suggestion!